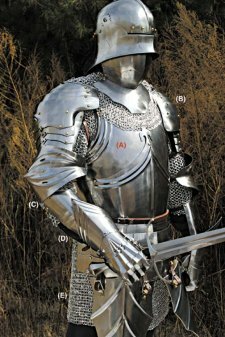 (B) Right and left shoulder protection. Beautifully fluted with open work. 18 gauge steel. Made for use with our mittens and Gothic Cuirass.